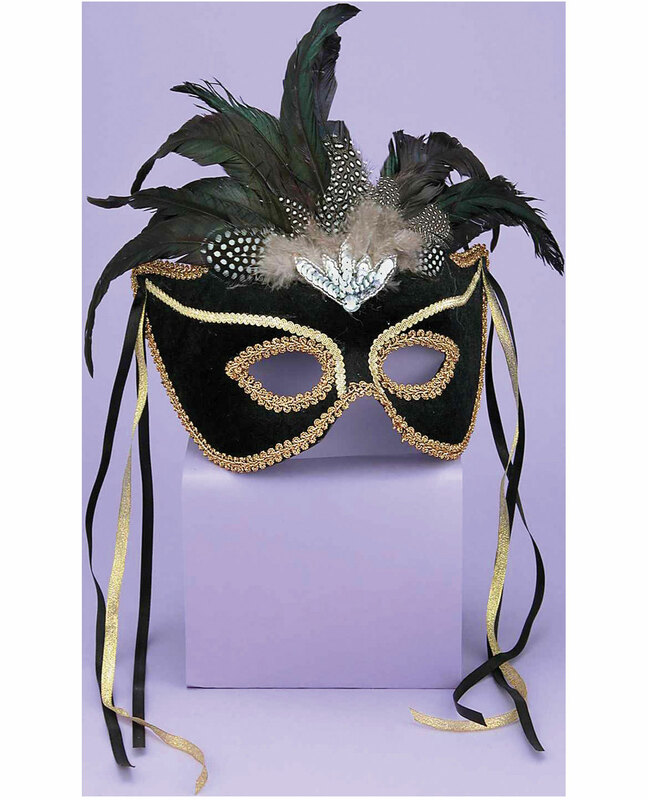 This Karneval Mask is one of our most elegant masks. This deluxe feather mask is perfect for theater projects, events, parties, or Halloween. Wear it with almost anything and be seen everywhere you go. On each side of the mask, one red jewel is carefully placed. Black.